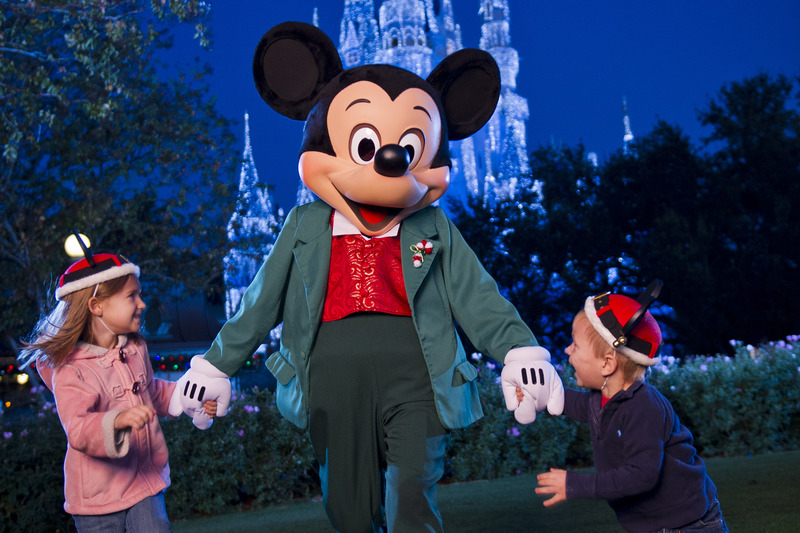 The Holiday Season is upon us once again and there’s no better way to get into the spirit than by visiting Walt Disney World. Here is a list of the best things to see and to jump headfirst into the holidays. Hop aboard the Monorail or bus for a treat that is certain to bring on the rush of the holiday spirit. From the grand lobbies adorned with Christmas trees and lights, to the smaller touches like mistletoe and garland wrapped around lamp posts, you’re sure to get your fill of holiday delight by stopping by a few Walt Disney World hotels. Disney Springs is always decked out balls to the halls for Christmas. This year with new restaurants, stores, and buildings, it’s expected to expand the holiday festivities. You can meet Santa next to World of Disney and don’t forget to stop by Earl of Sandwich for a taste of the Holiday Sandwich. You can play a round with Santa and his elves at this Christmas themed mini golf course. It’s a perfect way for families to have fun together and relax while on vacation. There’s lots of small getaways inside Walt Disney World and this is for sure checking out at least once. There’s no better time to grab a putter and score a hole-in-one next to some reindeer than the holiday season. There’s something special about being in Magic Kingdom during the holidays. There’s no better way to sum up that feeling than seeing Cinderella’s Castle light up with more than 200,000 lights. Watch Anna and Elsa bring the castle to life with a short 10 minute show that is sure to bring a smile to your face. Speaking of Magic Kingdom, if seeing the decorations and lights isn’t enough, you can also celebrate with a whole night filled with Christmas joy. Mickey’s Once Upon A Christmastime Parade is exclusive to this event and also Holiday Wishes: Celebrate the Spirit of the Season is a fireworks show over the castle that is sure to make an impression. The party is held on select nights until December 18th and requires a separate ticket to attend. Even if you can’t make it to every resort around Walt Disney World, be sure to stop by at least one Disney Deluxe Resort and see a sight that’s hard to believe. Each year Disney chefs at each resort go out of their way to make a gingerbread house larger than life and more memorable than in the past. It’s truly something worth seeing during your next trip. This mind blowing display of lights is more than enough to bring you up to speed with your festive side. This is the last year for the display in its current form and is for sure something to check out before it could be gone for good. Over a million lights dance along with a holiday soundtrack that has grown over the years. The lights are included with your Disney Hollywood Studios admission and take place nightly until January 3rd, 2016.